The average person on the East Coast doesn’t realize how mature and developed the cannabis industry is on the West Coast, where cannabis has been a growing industry for years. On the East Coast it’s hard to visualize the level of infrastructure the industry has already built, the soon to be hundreds of thousands of people employed in cannabis, the billions of dollars spent on legal cannabis every year, and the tax revenue it generates for legal states. Last quarter we launched our Services Marketplace, which now stands alongside our Product Marketplace. 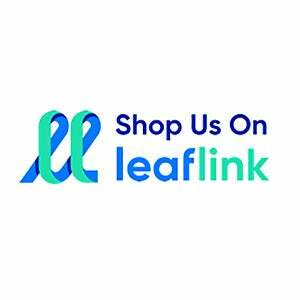 Opening this new portion of the marketplace was our first step to allowing hand-picked ancillary companies, such as consultants/lawyers, marketing and recruiting companies to interact with the LeafLink community of brands and retailers. This brings more professionalism and vendor services which our industry needs to continue to accelerate forward. One of the most interesting challenges we face as a technology company is that we’re not building a platform for a fully-established industry where the status quo is clear. Instead, we’re creating tools for a space that is rapidly growing and changing, defining the path as we go in each state. One of the biggest hurdles we continue to work through is listening to the many distinct challenges our community of over 650 brands and 2,100 retailers face as they grow and distill those many needs into a few agnostic solutions that the whole industry can use. The industry is a startup itself, full of entrepreneurs pushing forward and tackling unique challenges across the board. It’s great to be part of a community of businesses that is constantly raising the bar on quality and expectations for both products and services in the industry. Our team loves partnering with other leading companies in the space as we help the cannabis industry grow together. Beating yesterday. If we can create a compound interest effect, day after day, on our efforts and achievements, we then compete against ourselves. This allows us to quickly accelerate both our team and the industry.